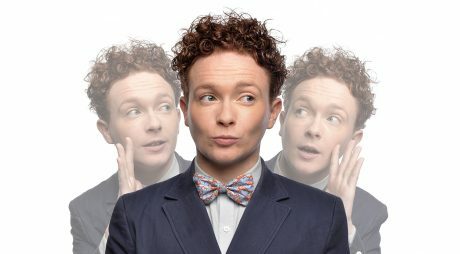 Before his performance at The Lowry Theatre, as part of his Nation’s Sweetheart tour, VIVA’s Mica chats to comedian, Stephen Bailey, about work, dating and anxiety. 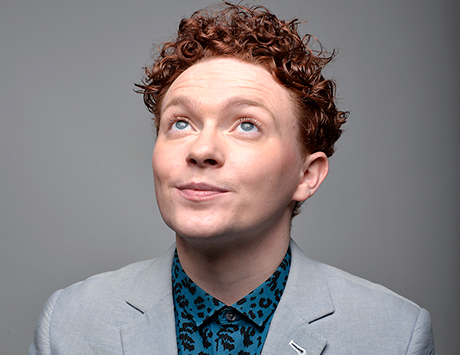 Sitting in his dressing room before the show, wearing a shirt and blazer with his friend beside him, and a vodka lime and soda from the bar – Stephen Bailey announced that he never wanted to be a comedian. As a nervous child with a stammer, the now thirty-year-old says: “I thought I’d buy a house on the same road as my mum and dad did, have a BMW, a wife and two kids. Obviously, it’s not gone that way. He concludes: “It’s taken six years, and I’m still not really famous”. First starting out in the comedy industry, Stephen joined a comedy writing course. Not realising stand-up would be involved, and having never done it before, he says: “Quite frankly, I was lucky I didn’t get booed”. It was not until a friend told Stephen his one-liner jokes were not funny, that the Manchester-born comedian changed his approach to tell more story-like jokes, ended up reaching the final of a Laughing Horse competition, and getting an agent. At the start of his comedy career, Stephen was also working behind the scenes in television. The last job he worked on, before taking comedy on full-time, was a Channel 4 documentary called Dementiaville. During this time, Stephen adapted his long working hours to enable him to do comedy gigs in the evenings. He says: “It was interesting going from working on this really heavy hitting subject in the daytime, and then you’re going out to tell d**k jokes afterwards. So, I think stand-up ended up being a bit of a nice relief for me”. Stephen Bailey. Photo by Steve Ullathorne. Despite how well Stephen is doing with his recent tour, and many TV credits, he explains: “I don’t think I’ve had the big break that I want yet. I’m such a Manchester boy, and I think the thing we’re raised with – in Denton anyway, which is where I’m from – is to have stability. You want to own a house, you want to work, earn a wage every month – and I don’t have that stability. His lack of stability is actually what causes Stephen’s anxiety, which he talks very seriously about: “I think if you have anxiety, you don’t ever not have it. When I first moved to London, I had fun, I did my job, I was living a proper life. I was lucky because I had a job that was PAYE, so I always had money coming in, I always made my rent, and I had an active social life. I think I had too many other things to focus on, that I didn’t even think about my anxiety. He adds: “Now, I would say I’m not crippled by my anxiety every day, but I would definitely say there’s probably a week in every month where I definitely feel it”. Giving advice to other anxiety sufferers, Stephen stresses that the key is to find the cause of anxiety, and put things into place to help that cause. He has also started giving himself two days a week off work, where he visits the gym, does not go on social media, and stays away from the comedy world as much as possible. He explains: “I just changed agents recently, and she’s amazing with my anxiety. She really wants me to work, and she knows that I’m better when I’m busy. A lot of agents go to meetings on your behalf, whereas she’ll let me go because she’s like ‘you’re happier busy, you’re great in a room, why not?’. I think finding an agent where we’re really in tune has helped, because now I can switch off a bit because I can trust her, and that’s a nice feeling”. Superstitiously, he adds: “Every friend I have in my life is someone that I trust and love, so I don’t really have anyone causing anxiety at the minute, touch wood”. Stephen writes online blogs about his anxiety, and other serious matters. He reveals: “I’m not an idiot, so I do have thoughts on what’s happening in the world. Speaking about his recently finished tour, Nation’s Sweetheart, Stephen says: “Your first tour is a struggle. I obsessed – coming into it – about the numbers, but the numbers have been better than I could have imagined. “I can only do this as a job if an audience likes me, and so I like to think that we’re all in it together. It’s not my show, it’s our show. You’ve paid £12, I get paid for being here, so let’s somehow make a great night of it”. Stephen tailors the show to how the audience react, and explains: “I always go on the same journey of what the show is – where the start, middle and end is – but we might get there very differently depending on the crowd. That’s what I’ve liked”. While on tour, Stephen says his home comforts are his friends. He mentions: “I always have at least one friend with me in the dressing room because otherwise, I think you’d go mad. I think you would honestly go mad if you couldn’t just sit and gossip about normal stuff”. The inspiration for Stephen’s tour sets comes from everyday life. He says: “Every time we have a night out, there’s a story. Every time I go on Tinder, there’s a story”. He also lists his family as a key source of his stories. Stephen recollects his life highlights as spending a year abroad to Perpignan in the south of France, as part of the French degree he took in Manchester, as well as supporting Katherine Ryan last year, and getting a black belt in Tae Kwon Do. He also points out, however: “Birth was pretty great – that was amazing. I know my death is going to be great, and very dramatic. I’ve planned my funeral. I want to do a voice recording, and have it like I’m still alive, when I’m coming down the aisle in the coffin. So, I’ll be like ‘oh Natalie, good to see you. Sam, keep your hands off those prawn rings when you get to wake’, and s**t like that. That’s my plan”. Closing the interview by slurping the last of his vodka lime and soda through a straw, Stephen declares: “That was very refreshing, wasn’t it?”.